It’s almost time for Warrior Sailing to kick off its month-long events opening the Great Lakes Warrior Sailing. Warrior Sailors, Sammy Lugo, Anthony Torres, and Nate Hamilton were all fixing up Warrior 53, a Farr 53. They also attended Memorial Day festivities and fund-raising event with Bayview Yacht Club in Detroit who is hosting Warrior 53 for a month. Coming up in the Great Lakes region, Warrior Sailors will compete in the Chicago to Mackinac Race, the UGOTTA Regatta, and other local sailing events on Lake Michigan. Thank you to Bayview Yacht Club for hosting the USMMA Sail Foundation vessel “Warrior 53” and welcoming an entire new adventure of the program! Warrior Sailors will begin arriving June 29th for a month long kick-off for Great Lakes Warrior Sailing! 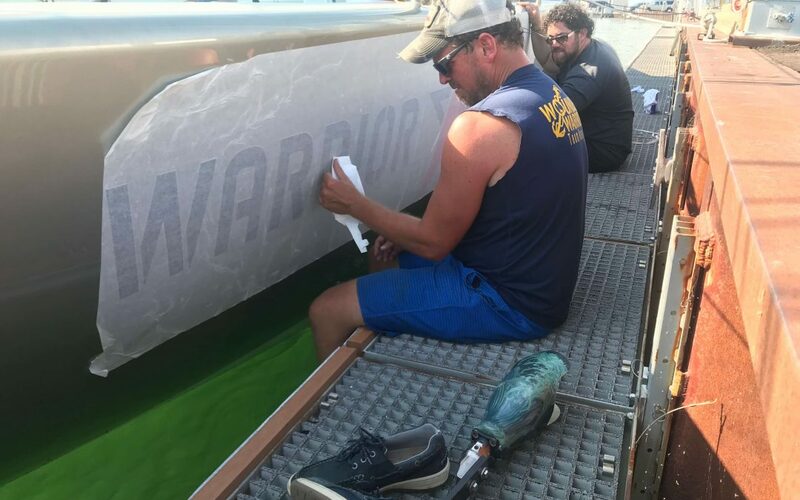 Warrior Sailing is making long- lasting connections to various yacht clubs and events to engage the veteran community in the Great Lakes region. Warrior Sailors are also excited to supplement their racing experience with more knowledge about longer distance sailing and get to know the intricacies of sailing on the Great Lakes! Keep up to date with Warrior Sailing at their website warriorsailing.org and all social media links.